While there may be little we can do to avoid the unexpected from occurring, we can take the steps needed to help prepare and protect us in the event the unexpected becomes unavoidable. 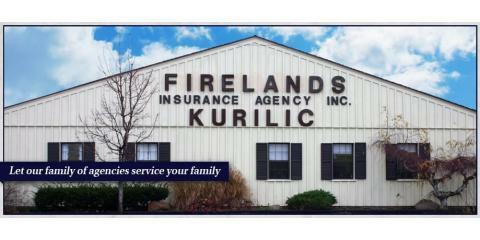 At Firelands Insurance Agency in Sandusky, OH, they proudly serve residents throughout five counties, including Erie, Seneca, and Ottawa, by providing quality policies to help protect the things that are most important to you. Dating back as far as the early 1900’s, this one-of-a-kind insurance agency was created from various mergers through the decades and works with the area’s leading providers to bring residents the very best coverage options. Operating as a full-service agency, they offer everything you need to keep your most valued assets and investments completely covered. Whether you’re looking for vehicle coverage, you’ve just purchased a home, or you want to protect your business, they’ll help you find the best personal, auto, business, life, and health insurance policies that fit your needs and financial goals. As an agency built on integrity and a dedication to building strong customer relationships, every client that steps through their doors can expect to have the full attention of their knowledgeable staff. Their agents take the guesswork and worry out of searching the open market by sitting down with each client to determine their goals and finances before suggesting any coverage plans. For dependable service and excellent plans that are both reliable and affordable, turn to Firelands Insurance Agency for your future coverage needs. To speak with an insurance agent today, call (419) 626-5580. For more detailed information, visit them online.